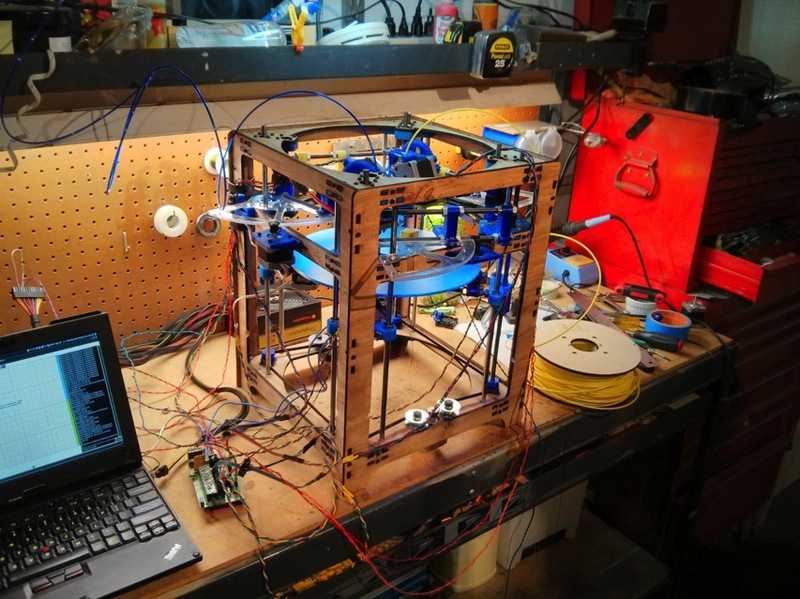 Print With Four Extruders Simultaneously on this Polar-type Theta Printer #3DThursday #3DPrinting « Adafruit Industries – Makers, hackers, artists, designers and engineers! 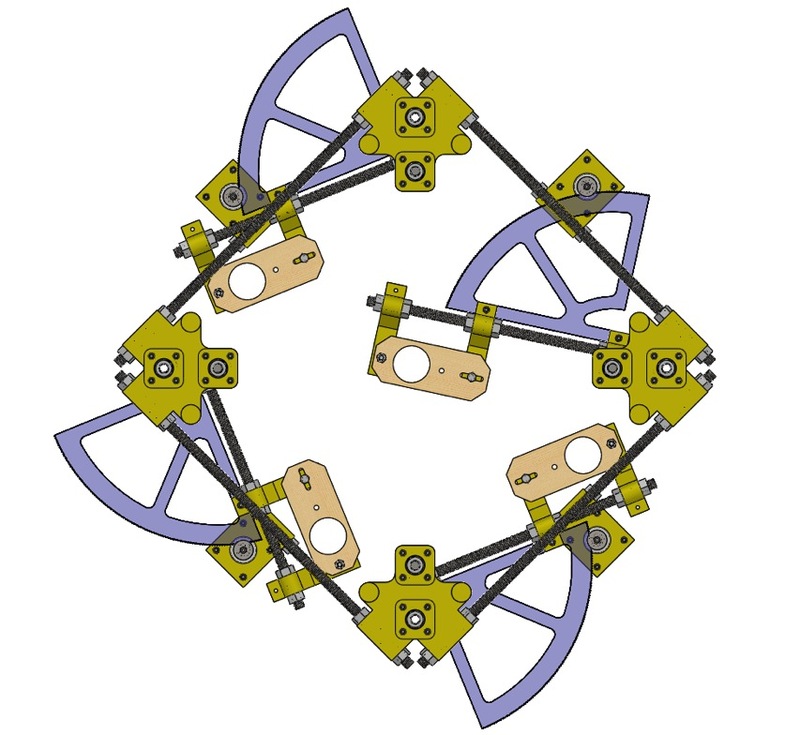 One of the more fascinating and eccentric mechanical approaches to desktop 3D printer design designs around polar rather than Cartesian coordinates. And while a number of projects in this direction have been attempted, this polar bot designed by Tyler Anderson over the past few years — the Theta — is in a working prototype state over on Hackaday Projects! Check out the overview below, and then visit the project page to learn more about how it functions and a detailed development history. The Theta Printer is a platform for printing with as many different materials as possible. Whether it be different colors of plastic, wood, carbon fiber, chocolate, or anything else you can make an extruder for. Each extruder moves simultaneously and independently, allowing the printer to lay down 4 different materials onto the same object at the same time. …With most 3D printers, adding more extruders makes the machine slower and reduces the build volume. The Theta Printer overcomes this by using polar coordinates. A polar printer works kind of like an old fashioned record player. Your objects are printed onto a platter which spins. The advantage is that you can have many print heads. Each extruder is on the end of an arm which swings in and out. The spinning platter is called the ϴ (“theta”) axis and the swinging arm is called the R axis. Together these replace the normal X and Y coordinates you’re used to. A polar printer has a couple of advantages over normal cartesian 3D printers. 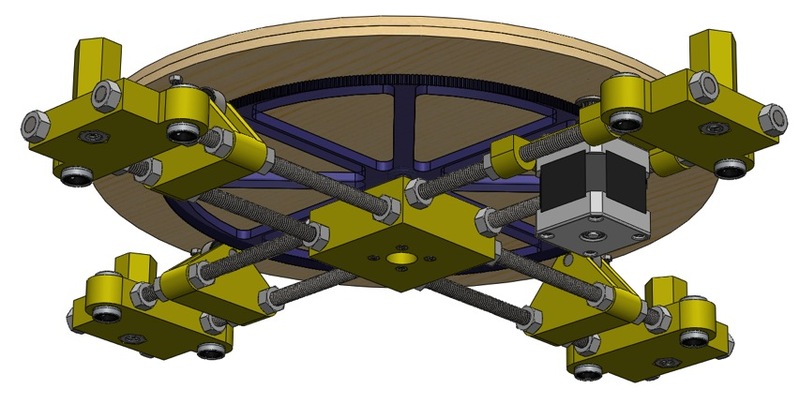 The spinning platform makes this machine ideal for integrating a 3D scanner. 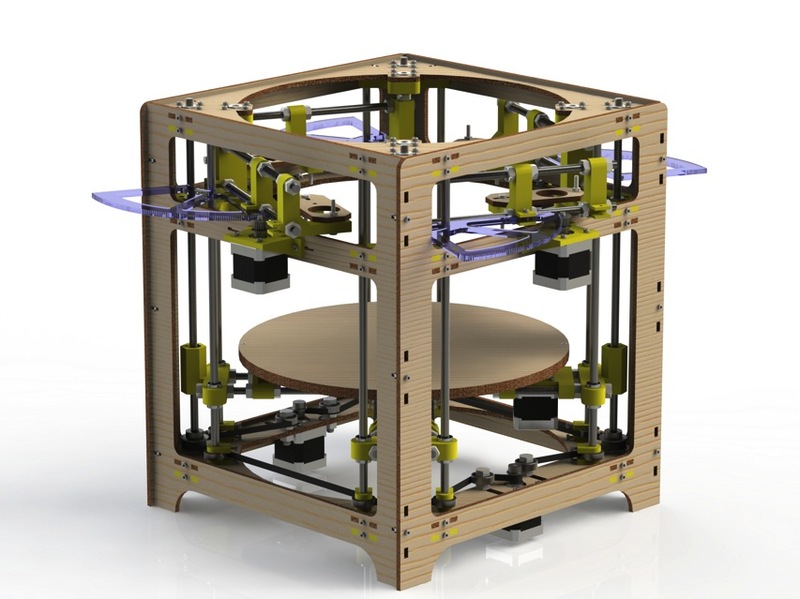 In addition, you can easily swap out an extruder for a mill or any other tool, making the Theta Printer the perfect all-in-one fabrication machine.